After serving one year as Chair-Elect, Brian Martin, VAPHA's Board Secretary becomes Chair of APHA’s Health Administration Section. HIs term commences at the APHA business meeting on 10/27/16 at the 2016 annual APHA conference. George Mason offers a 100% online Master of Public Health degree concentration in Public Health Practice.This accredited degree program is designed for individuals interested in advancing their skills and careers in the community and public health space while continuing to work in their current positions. Courses are taught by full-time faculty members and carefully selected adjunct faculty with highly specialized expertise and experience in their field, no graduate teaching assistants. Class sizes are small and each course is designed to facilitate student –to– student collaboration and faculty interaction. The program offers a competitively priced tuition making our program an affordable alternative to many of the programs offered at other schools of public health. Applications are now being accepted for Fall 2017, the inaugural class! The application can be found at www.sophas.org, and the deadline to apply is March 1, 2017. Please feel free to contact Dr. Robert Weiler, Professor and Chair (rweiler@gmu.edu), or MPH Program Coordinator, Kelly Beckwith (kbeckwi2@gmu.edu) if you have questions about this new online MPH program. Upcoming 2016 Public Health Law Conference in Washington D.C. September 15-17. 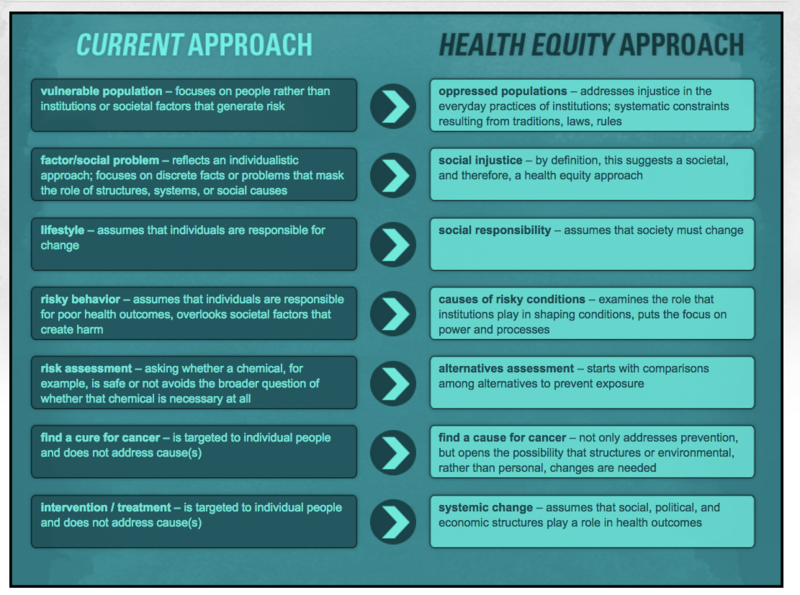 This year’s conference will focus on strategies for achieving health equity and is designed for both legal and non-legal public health professionals. We’ll hear from some of public health’s leading experts on effective legal and policy efforts that cut across sectors and levels of government. The conference also features more than 40 sessions focusing on some of today’s most critical public health topics including drug overdose prevention, Zika virus preparedness, mental health care, food policy, safe housing, health data sharing, and health disparities. This is a great opportunity for VAPHA members to obtain some important and valuable insights into how law can empower their public health initiatives. • Organize and strategize to act. The cornerstone of the initiative is the creation of an Anti-Racism Collaborative, which will be hosted through APHA Connect and run by APHA members/volunteers. The Collaborative aims to facilitate conversation, education, research and intervention on racism. Join APHA President, Dr. Camara Jones, as she provides background on the initiative, discusses efforts to date and provide more detail about the Anti-Racism Collaborative. The apex of a great conference is great information, and #APAVA16 looks to stand tall with new session formats and themes for the conference program. Last year, conference attendee’s gave great feedback on what sessions they wanted more of, and for 2016 we want the sessions to reflect the needs of planners in Virginia. Here’s a sample of what you want to see: rural transportation, farm-to-table, broadband and communications; proffers/impact fees, urban design, form based code, skill-building and practical application of planning principles. Ø Building resilient and strong communities through: innovation, integration and evaluation. Think how and why we plan? Let’s push the limit of the great planning. Ø The “unconference” experience; enhanced participation by design, lead a dialogue on an interesting topic or idea or share your insight. Ø The conference blog has even more information for developing a session idea. Submit your idea’s by March 1. The VAPHA membership's top recommendations were to keep the website updated, enhance communication, increase membership, and serve member needs. The results can be viewed below. VAPHA's Board now has representation from Virginia's major university public health programs.